SunRackSolar manufactures the nation’s leading ground mount solar racking system- the SunnRac GM3000. This Expandable product can handle from 6 solar panels to 600+ solar panels. 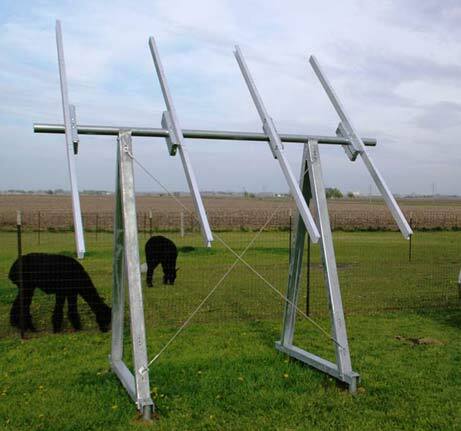 The SunnRac Ground Mount Solar Racking System is versatile, economical, and longest lasting. The complete bare ground installation is performed with our Helical Pier “Concreteless Foundation” making it the fastest to install in the solar racking market. SunnRac Racking Systems surpass Contractors expectations for ease of construction, maneuverability and installation time! Your customers will be pleasantly surprised with minimal impact on the ground surrounding the racking. Galvanized steel and aluminum maximize the life of the racking. Contact Us today for a quotation for a SunnRac ground mount racking system tailored for your solar panel of choice!